This is part 3 of a 4 part series on rats. This article will focus on things to think about when choosing a pet rat. This will be followed by one more article on how to best insure their health & well being. Be sure to read part 1 (Click Here) and part 2 (Click Here) already published. 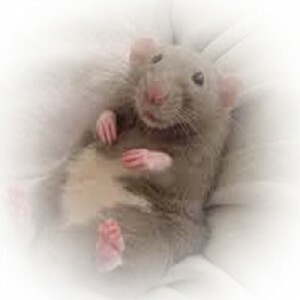 A pet rat can be one of the coolest additions to your family, but they can also cost a lot in terms of veterinary care. When researching which pet is right for you, and you are thinking rat, make sure you can afford to provide for their care. It does not mean that you should never consider a rat, just go into it with realistic expectations and know what you can expect. What are some health issues my rats may experience? How do I avoid some of these ailments? The best advice out there is to feed the very best diet you can, and to keep your rat’s living environment as clean as possible. Some of the skin infections come from getting a scratch or a rat friend breaks the skin, the habitat is not very clean, and then the wound becomes infected. The debate about what foods are best is not just a rat issue, it’s across the board for pet owners of all kinds. Do your best and forget the rest. And best of all, hug your rats! They thrive on community and need their caretakers to show them that they belong. Finding a veterinarian that you are comfortable with, and seems comfortable with your rats is another key thing to remember. Ask around and see if your friends know of someone if you don’t already have a regular veterinarian, usually word of mouth works well! There is loads more information out there on these wonderful creatures. There is no such thing as too much research. If at any time, you are concerned about your rat’s health and well being, call your veterinarian. It may be something that is fairly uncommon or they may find something you missed. It’s always good to get a second opinion, yours being the first. Have you hugged your rat today? Be sure and read parts 1, 2 and 4 for a more comprehensive understanding of how to properly care for pet rats.